Home » Uni Updates » Are You Going to Buy an Insurance Policy? Are You Going to Buy an Insurance Policy? The basic idea behind the word Insurance is “sharing of risk”. Let us say there is one in hundred chance that something wrong happening to you during a specified period of time and that will cost you around 10,000 dollars if that happens. The idea of insurance has come up from this in which if you gather one hundred of people contributing 100 dollars each, there is very good chance for the afflicted person to come out of loss. When the number of contributors increases, then automatically more and more money will be pooled in large amount. However, the number of afflicted will be less, so that anyone who has met any misfortune will be guaranteed of the help in that critical situation. There are basically two types of insurance policies. They are Life insurance and General insurance. Life insurance is also called as “Assurance” while general insurance is actually said to be “Insurance”. Is it safe to believe all insurance companies? But it is not safe to believe all insurance companies. It is better to read the rules and regulations of any company before taking up any policy. If you really believe that a Life insurance policy will take care of all your financial needs of your family after your death, then better think twice before taking up a policy. There are numerous numbers of insurers who provide you with the insurance policies with attractive promises. But the shocking news is, only few of the insurers keep up the promise. According to the Insurance Regulatory and Development Authority, only 23 insurers manage to do the claim settlement during the annual reports of 2012-2013. That too not completely the report said. This clearly shows the stinginess of the insurers when it comes to passing the benefits to the nominees. Thus it becomes very important to choose your insurer with utmost care. However, while choosing a insurance policy people only check with the premiums and expected return associated with that policy. But this could be a grave mistake. Just remember one thing. Insurance is the life protection tool and it is not an investment. How to choose a best Insurance company? Most of the financial advisors, nowadays, advice the insurance buyers to research the claim settlement records before buying any policy. They also insist the buyers not to run behind the insurers who offer you low premiums and high benefits. Thus, the claim settlement records indicate the proportion of the claims that have been honored out of the total claims that are outstanding. In other words, when a company’s claim settlement ratio is higher, then it means that it will be able to make payments even when they fall due. Among that, the best insurance companies with higher claim rates are listed in the below site. According to the Insurance Regulatory and Development Authority, the insurer who has got the best claim record was none other than LIC when compared to other insurers. Few other private Life insurers who are in the lists are ICICI, State Bank of India, HDFC, and Kotak Life insurance. Other insurers who lag behind are Aeron Religare, Tokio and Shriram life insurance policies. We cannot blame the insurers totally since the policy holders are also responsible to take care of their policies. If a claim gets rejected the key reasons behind the rejection is non-disclosure facts or any wrong information provided by the policy holder itself. So next time, when you are about to take any policy, better do the paper work yourself instead of giving it to any agents for filling it up. What to do if you feel your claim shouldn’t have been rejected? Follow the below steps carefully if you wish that your claim should not get rejected. Check all details whatever you gave is correct and accurate. 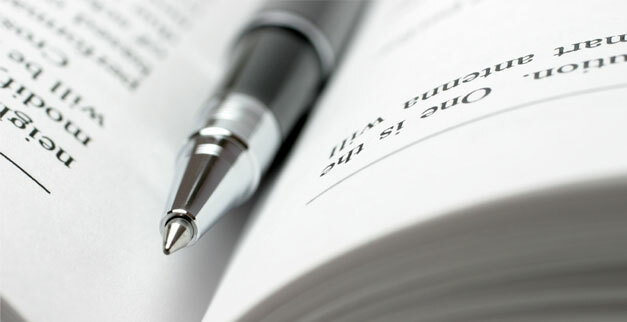 Note down or high light the important words in your policy statement so that will be useful for future reference. If any of the explanation is ambiguous or poorly explained, better ask your insurer for the clear explanation. You insurer is responsible to provide you with correct and clear information. If you find any information that is not much needed by the insurance company, it better to note that down or provide the information on a voluntary basis which will help you a lot in future.